The chance of having a false positive result after one mammogram ranges from 7-12%, depending on patient age. Your breast imaging center relies on data to continue best practices and find areas for improvement. That’s why your mammography information system needs to focus on your business data, as well as tracking and outcome statistics. Fortunately, MagView has you covered. 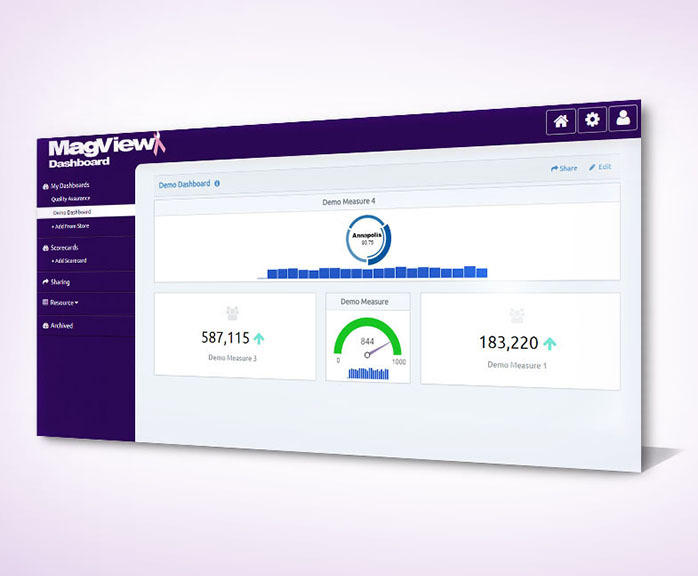 With over 27 years’ experience in mammography software, we continue to lead the way with dashboard business intelligence for your users and practice. Does your current system offer real-time data on statistics vital to your business practice? Do you have QA metrics that are instantly available anywhere you have internet access? How do you keep track of your users’ productivity and site growth? Do you have reliable and industry-proven statistical reports that work for your facility? 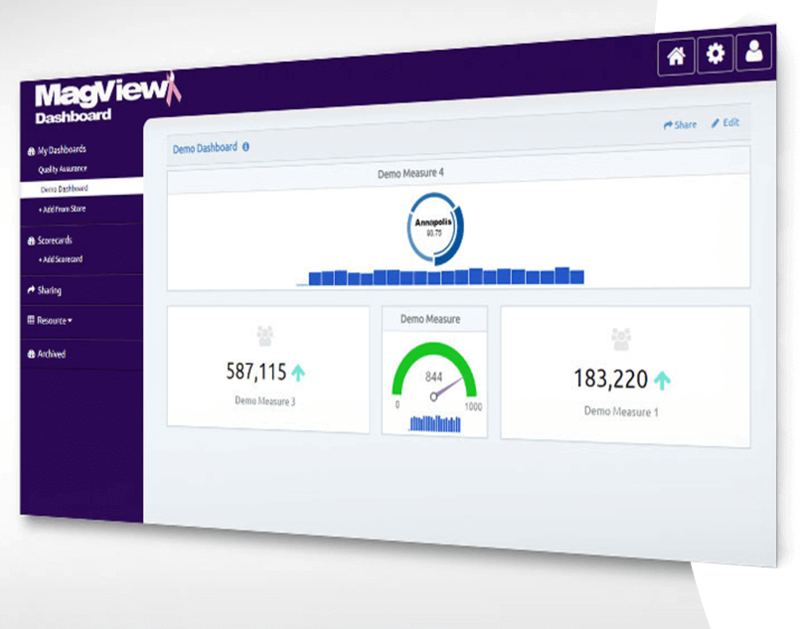 You can instantly view your facility’s pertinent statistics with our online Dashboard. Designed to monitor QA statistics, you can configure alerts and displays to whatever data you want to monitor. Our customizable dashboard business intelligence allows your users to shift focus to specific areas as needed. Our suite of system reports, called Clarity, provides mission critical data for your site and end users. You can track user productivity, mammography outcome statistics, and so much more with our data mining tools. These statistical reports can be automatically generated and even emailed directly to you, saving you and your users countless hours. MagView solved my issue fast and support was so nice to me.